More dramas actually mean fewer blogs. My dance card is full, but thankfully, my mother was right. She said “You always worry about the wrong thing.” The Koi/Goldfish Rodeo hasn’t occurred yet, for various reasons. Leonard the koi is still in his home pond. It is a bit like waiting for the other shoe to drop. The Three French Hens had a Happy Story at last notice. Their owner has sold her condo and bought a house where she can keep her hens! That is the best kind of story, isn’t it? Honey is a friendly, relaxed rabbit. No blog is complete without Prince Dobalob. (We’ll skip the guinea pigs, too. They have had their 15 minutes of fame.) Here is the Dobster, so we can get that over with, and we can move on to more obscure residents. Like this dwarf African frog. There are two in a tank in Dobby’s Kitchen. The outdoor turtles are hibernating, by the way. We can no longer hope for any pleasant weather before spring. Bonnie Bunny is adjusting to indoor life. She isn’t one of those cuddly types, and she isn’t very adventurous, but it sure is fun to see her skid around on the slippery wood floors. Bonnie checks out Dobby’s kitchen area. Bonnie enjoys a romp in Dobby’s territory once he has gone out for the evening. She is getting very relaxed indoors. The Pirate gets out in the evening, too. She has a special kitchen “nest” and a landing strip of her own but prefers to buzz my head to get attention. My elderly cockatiels seem to like having a rabbit in the house again. They have been wandering around more since she came inside. 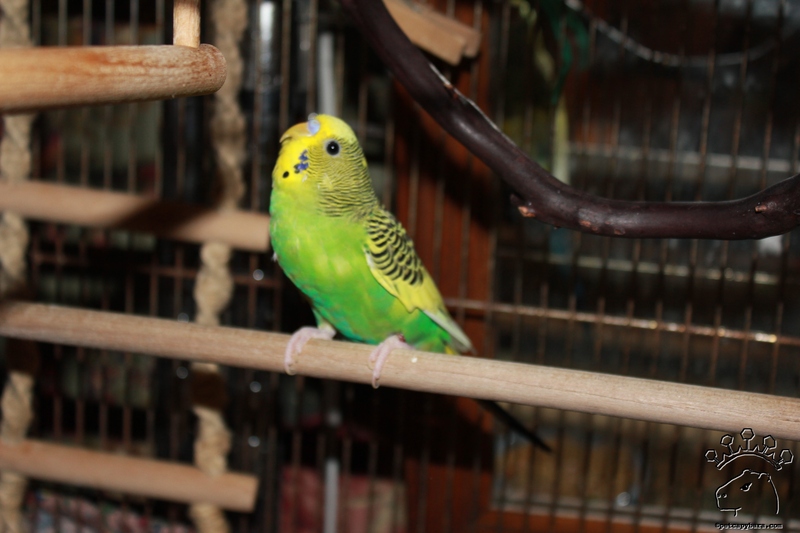 Spike, the Puny Green Thing, invades their cage as soon as they fly down to the floor. Jorge and Vincent go for a walk. Wild mallards have invaded, as if to make up for the sleeping turtles. Feederwatch observations started up last weekend, but only 7 of these 24 ducks showed up on my count. I had a Kingfisher late last summer, and I’m hoping he’ll swing through on one of my count days. My little flock is adjusting to the recent loss of an elder gentleman duck, Fabio. He is center back in the photo below. He had a nice summer, but he was walking like a stiff old man and the other ducks were very deferential to him. Even Dobby seemed to acknowledge his frailty, though I doubt Fabio appreciated his nudges of encouragement. Lula has been on Metacam forever and settles on a lower roost these nights, but she is much improved from a year ago. The cats like to walk past and swat at her tail. I have known Jorge for 15 years, but he was probably about 5 years old when I met him. Here is Jorge again, just because. I am his third owner, at least, but I think he is older than I originally guessed. He’s pretty frail, too, and his cage is lined with soft blankets because he falls off his perch. The Funny Farm is becoming an assisted living facility for elderly pets. How about me? I failed at retirement and started a new career as a paraeducator at the elementary school where I have been volunteering for the past four years. 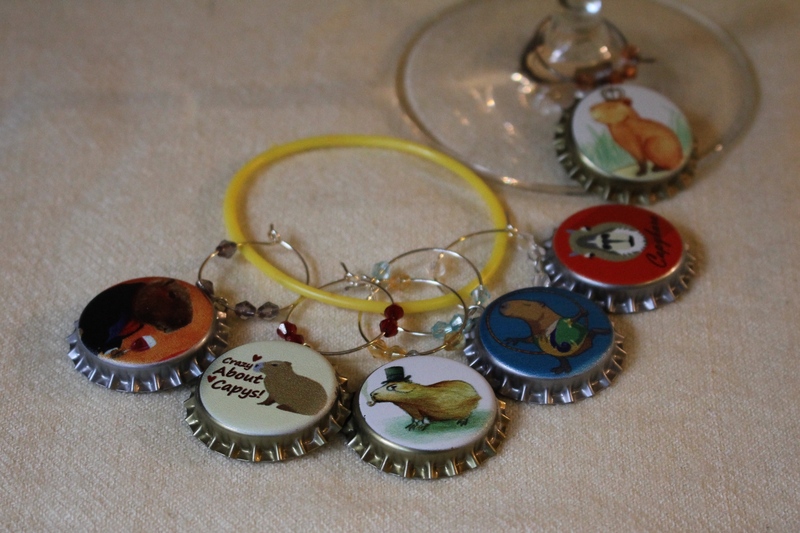 I’m also designing new jewelry for Georgia Dee’s Gift Shop, in my spare time, of course. You’ll be seeing that here in about a week. I have plenty more to write about my trip to Paris, too, but this is not the time. It seems to me I was writing a book, too, or three . . .